Recognizing that our Fellows have much to teach—and learn from—their university peers, YouthActionNet is collaborating with institutions of higher learning across the globe. From Jordan to Chile, the United States to Uganda, fellows are serving as role models, offering students the opportunity to immerse themselves in ‘real world’ case studies. The goal: to engage the creativity and drive of thousands more youth in contributing to the world around them, while enriching knowledge and understanding of the youth social innovation sector as a whole. Our work on university campuses is made possible, in large part, through our partnership with Laureate International Universities. 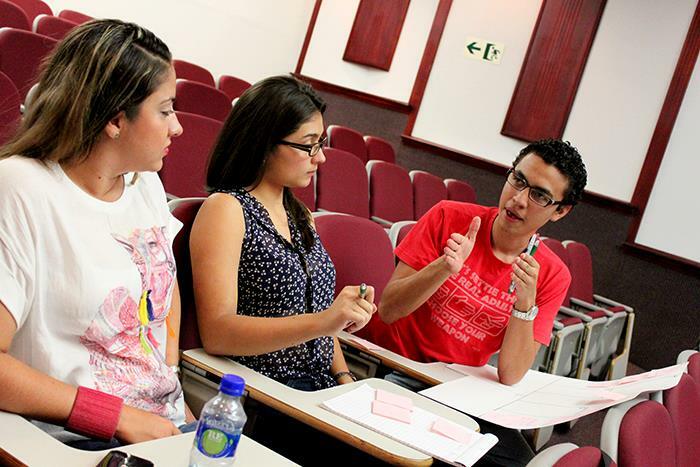 YouthActionNet Institutes are hosted at 15 Laureate universities worldwide—and counting. To help bring ‘learning to life’ on university campuses around the world, YouthActionNet links students and classrooms to its fellows and their social ventures. Through sharing their real-life experiences in addressing community challenges, fellows bridge the gap between theory and practice. Learning flows both ways with students sharing their knowledge of marketing, communications, business planning, and more with fellows. Beyond formal classroom settings, broader campus dialogues offer students representing a broad range of academic disciplines the chance to see how social change can become integral to their long-term interests and career goals. Our university partners are actively engaged in researching the youth social innovation sector and emerging trends, tapping the experience of YouthActionNet fellows to inform what is often a first-time ever ‘profile’ of a nation’s emerging young leaders. Questions such as the factors that motivate young people to take action, the issues of greatest interest to youth, and the backgrounds—and needs—of today’s young change-makers, form the basis for a wider inquiry into the youth social innovation sector as a whole. Similarly, our partners convene national events designed to connect young leaders, inspire more youth to get involved in their communities, and share cutting-edge knowledge. YouthActionNet local institutes, many of which are housed within universities, are increasingly serving as catalysts for the spread of social entrepreneurship-related curricula, coursework, and career guidance opportunities. As a result, students in Chile and Turkey can now take advantage of specialized courses in social innovation, with students in Spain immersing themselves in sustainability-related curricula.